Thinking It Over sections at end of chapter are good chapter by chapter summaries. Questions at the end may be good journaling activities. Memorize the indicators of self-differentiation in chapter 7. I’m curious why Gilbert never seems to reference Ed Friedman, even in bibliographies. Finished September, 2012. “As basic self builds and pseudo-self diminishes, there is less anxiety to cloud thinking.” (Kindle Locations 1250-1251). This dovetails nicely with Dan Miller’s advice in 48 Days that 80% of all decisions should be made immediately. The rest should have firm deadlines. As well as Tim Ferriss’ advice that it is often better simply to make a decision and be wrong or have a sub-optimal decision than to not decide. 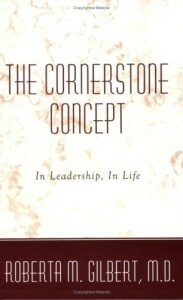 This book is intended for the 3rd year of Roberta Gilbert’s Extraordinary Leadership Seminar. 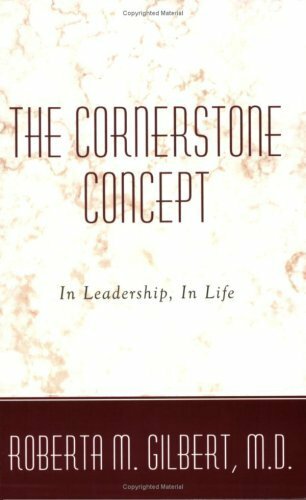 The first year is Extraordinary Leadership, the second year is The 8 Concepts of Bowen Theory. This chapter is a series of extended quotes from Murray Bowen explaining the differentiation scale and the major concepts of differentiation. A leader should maintain distance from group’s emotions, but interact with it intellectually. Guiding principles contribute to making high level leaders and act as resistance to emotional fusion. Don’t accept things uncritically b/c they have been handed to you. Think them through. Bowen theory, especially the principle of equality, can help clarify most issues. Get your principles in place and let them guide your life. On occasion, re-evaluate your principles, but don’t change too whimsically. Groups need guiding principles as much as individuals (672). All principles are not created equally (701). In marriage, don’t tell partners what you want or nag, but define self to the other (771). Family projection process is how families project unresolved anxieties between parents onto children (864). Multigenerational transmission process describes how families go up or down in level of functioning from generation to generation (864). Merely being different than one has been in the past isn’t differentiation (899). One is never working on the group, but on the self and one’s own level of self-differentiation. However, this doesn’t occur in a vacuum, but in the context of a system. Working on the self in the context of the system will change the system. Chapter 7: How Am I Doing? Evaluating Progress. See location 1135 for a checklist to evaluate how one is doing in growth of self-differentiation, followed by a fuller description of each element of the checklist. I noted a self evaluation of each in the notes of the book. This chapter didn’t seem entirely convincing to me, but it was a brief overview of different famous people: Martin Luther, John Wesley, Increase Mather, John Adams as well as some more recent examples, including some related to resisting the Iraq War and their self-differentiating moves. This chapter recounted the author’s recent efforts at self-differentiating in her own family that involved bridging relationships that she had acted in a cutoff manner towards and coming to be a trusted source of advice and wisdom in the family. It involved a stronger relationship with her brother, who tragically died, along with two other kids in the family. There were a few times I wondered if what the author interpreted as progress in the family could be seen in a more negative way, such as her interpreting advice seeking as a “thank you.” That may indeed be the case, but I could see how it might also lean towards overfunctioning or fusion. It underscored in my own mind how some of this is easier in theory than it is in real life. Societies go through periods of regression and better integration. It seems that Bowen and this author feel that since the 1960’s we’ve been in a period of regression. Clergy should be leaders out of social regression. The same basic moves towards self-differentiation apply to leaders and society as they do between individual and family and/or organization. This chapter is a Bowen-theory informed narrative of one woman’s self-differentiating work in the context of her family system. I didn’t find it all that interesting or useful. This chapter was another Bowen-theory informed narrative of a man’s self-differentiating work in the family system, with particular attention to his ministerial identity. One thing I resonated with in this account was the occasional unclarity that emerges as to whether or not something was a move towards self-differentiation or away from it. Real life situations, it seems to me, particularly when viewed subjectively by the self aren’t quite so easy to categorize as they are in more abstract theory. I’m sure talking about it with Bowen knowledgeable people might help. This chapter seems to argue that at high levels of self-differentiation, prayer becomes more beneficial – at least more physiologically calming, than it does at lower levels of self-differentiation. Although it tends to be calming and helpful for all people regardless of level of self-differentiation. The argument seemed to be relatively anecdotal, but it still resonated as true. This fits well with my understanding of prayer, but to those who might insist more on the value of intercessory prayer, I wonder if this sort of view would seem somewhat hollow or at least incomplete. On average, those participants in Gilbert’s Extraordinary Leadership 3 year process improved 1.4 in each area. List the 8 concepts of Bowen theory from memory. I’m not sure I’ve ever reviewed the 8 concepts. Given that most respondents to the survey of the Gilbert seminar indicated they were most helped through the concept of self-differentiation as opposed to things like Family Projection Process and cutoff, I wonder if an 80/20 way to see this is to take their advise and pragmatically focus mostly on self-differentiation. [Todd: I wonder what a genogram for Jesus would look like – at least a partial one could be put together. Jesus life paradoxically reveals that high self-differentiation from the world is achieved through poor self-differentiation with God. I’ve often wondered how statements by Jesus like, “give to anyone who asks of you…do not resist an evildoer” can be anything but poor self-differentiation. Also, Jesus’s hanging out with the riff-raff too could be seen as poor self-differentiation. I think though, these come out of a complete free choice of Jesus, he wants to do them and isn’t trading self in order to do so. Whereas often these teachings are draining to us because we do them out of fusion and giving up of self, we don’t want to do them. First we must develop ourselves in such a way where we want to do these things to do them properly and receive from the abundant life inherent in them. “And warnings of consequences ‘to the third and fourth generations’ seems to be exactly what the research in family systems uncovers (3114).” Comment: This rendering is reversed later in Scripture showing the progression of God’s growing hesed (see Michael Fishbane’s “divine attribute formulary”).